Welcome to the Georgia Association for Home Health Agencies, Inc. website! 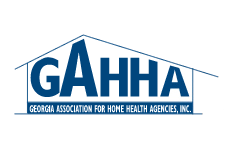 The Georgia Association for Home Health Agencies, Inc. is the voice of Georgia's home care providers. We represent Medicare certified and licensed agencies that provide in-home health care and supportive services to Georgia residents. Our mission is to provide direction, purpose, education, and leadership, as well as to promote and support high industry standards for home care providers in the State of Georgia. Details and registration information will be available at a later date!! The National Association for Home Care & Hospice (NAHC) has officially launched their newest collection of Patient-Drive Groupings Model (PDGM) resources and GAHHA has partnered with NAHC in promoting their newest collection! GAHHA members will receive the NAHC member discount pricing. Be sure to use the GAHHA state-specific promo codes listed below to receive the discount pricing! CEUs will be offered! Please visit https://www.nahc.org/pdgm-states/ for details and registration links and be sure to use the GAHHA state-specific promo codes below to receive the NAHC Member discount pricing. JOB BANK is provided by GAHHA to post available employment opportunities within the home health industry. If you are seeking a position in the home health industry, contact the employer directly. GAHHA is not an employment service and cannot verify information nor offer additional information regarding any listed positions.